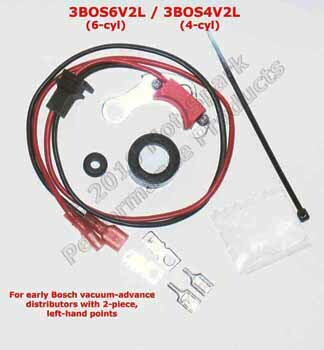 Beru Germany Blue Coil is ideal for HotSpark 4- and 6-cylinder ignition kits. 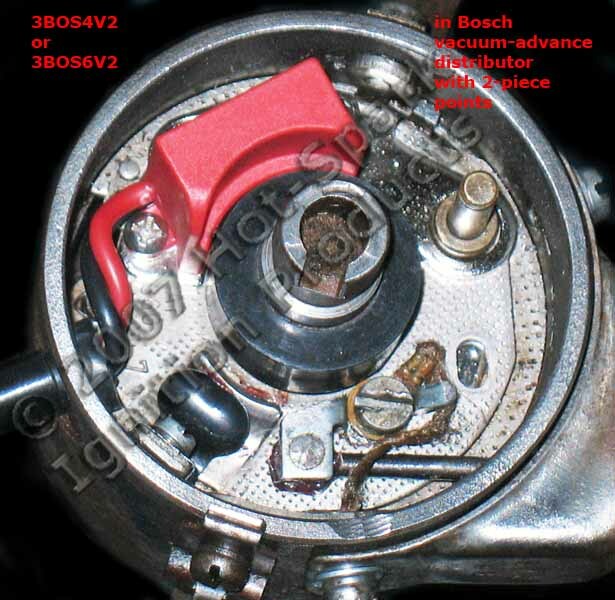 Determine whether your Bosch distributor has single-piece points, as older (pre-1968 or so) Bosch distributors typically have 2-piece points. If it has 2-piece points, a brass pivot pin will remain, standing up from the breaker plate, after you remove the points. 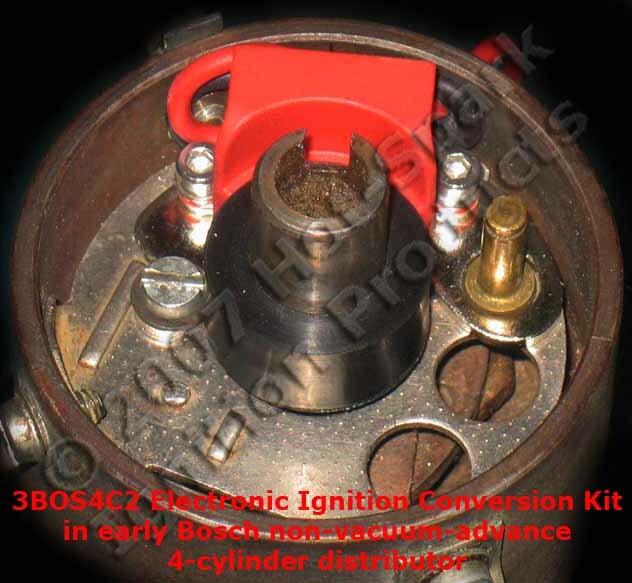 Our electronic ignition conversion kits are not "one-size-fits-all." Your engine could have any number of different distributors. We'll need the number of cylinders and the brand and part number of your distributor to determine which ignition kit would fit it or whether we have an ignition kit for it at all. Supplying just the make and model of vehicle or engine is usually not sufficient to determine which ignition kit will fit. Most distributor part numbers are either on a badge or stamped into the side of the distributor body, and are usually covered with dirt and grease. 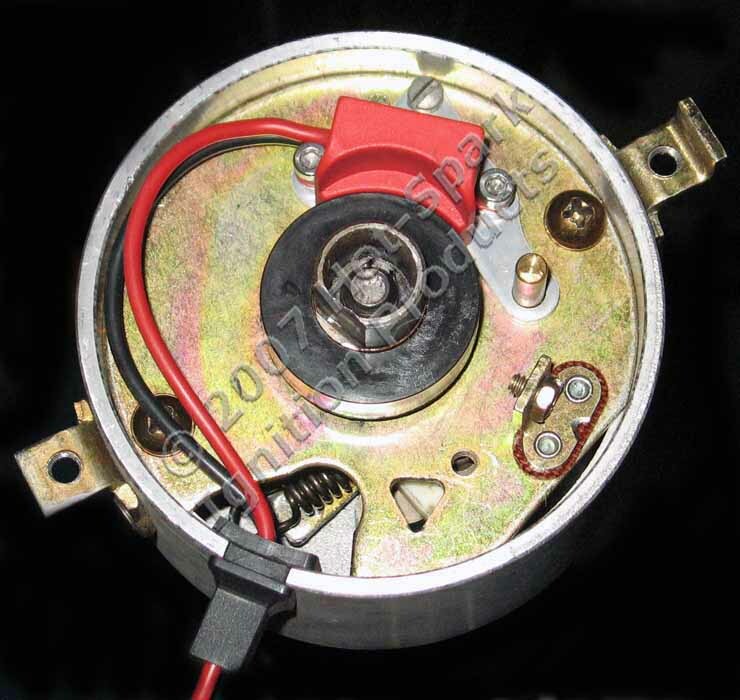 J1171 is not a distributor part number. 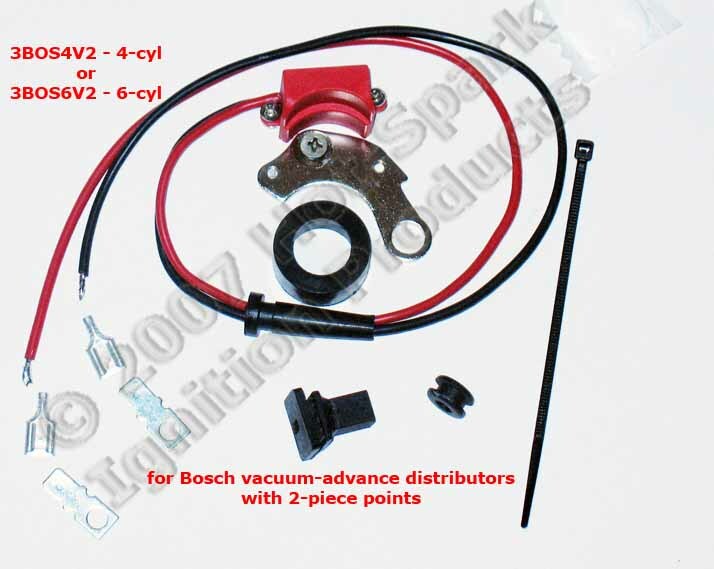 Make sure that your distributor has 1-piece points, as older (pre-1968 or so) Bosch distributors typically have 2-piece points. If it has 2-piece points, a pivot pin will remain, standing up from the breaker plate, after you remove the points. 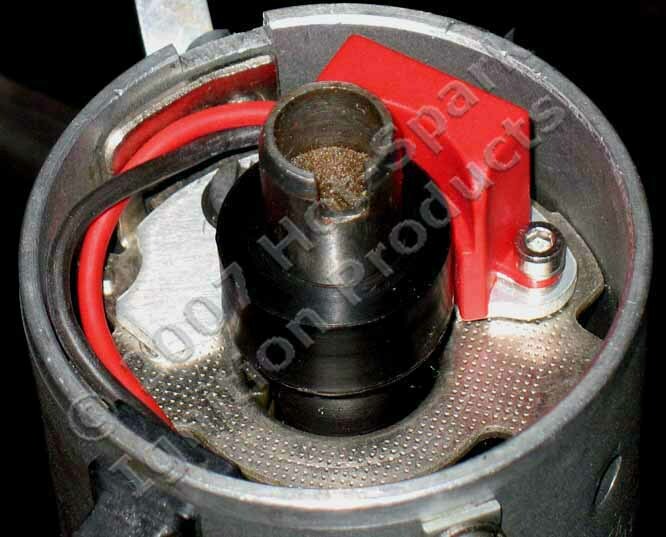 3PRE8U1 and 3PRE8U2 ignition kits must be used with stock Prestolite distributor breaker points plate. 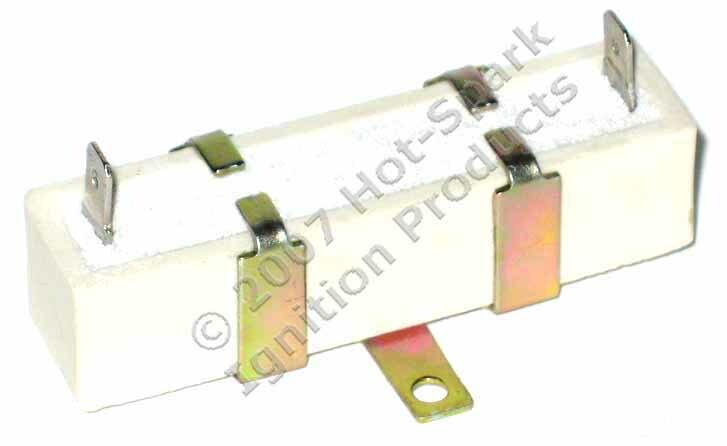 Prestolite distributors must have the original breaker plate, complete with with points and condenser, in order for the 3PRE8U1/3PRE8U2 ignition conversion kit to fit. Coil Required: Coil must have 1.5 Ohms or more internal primary resistance. Coil must have 1.5 Ohms or more internal primary resistance. 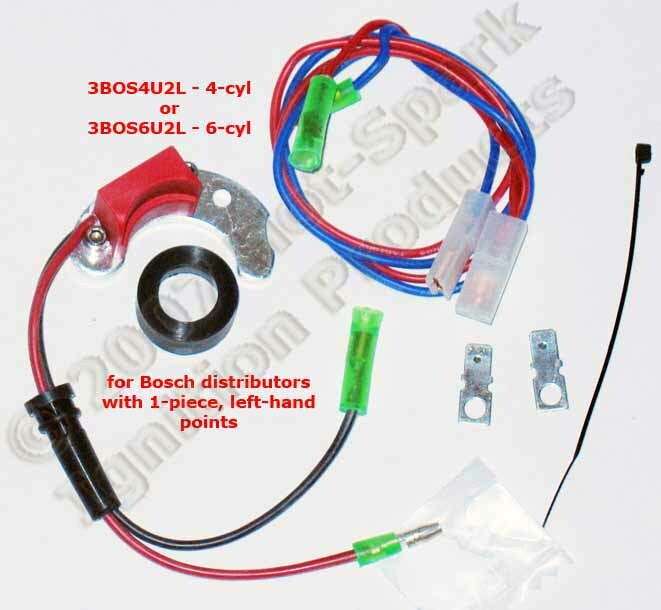 Electronic Ignition Conversion Kit. 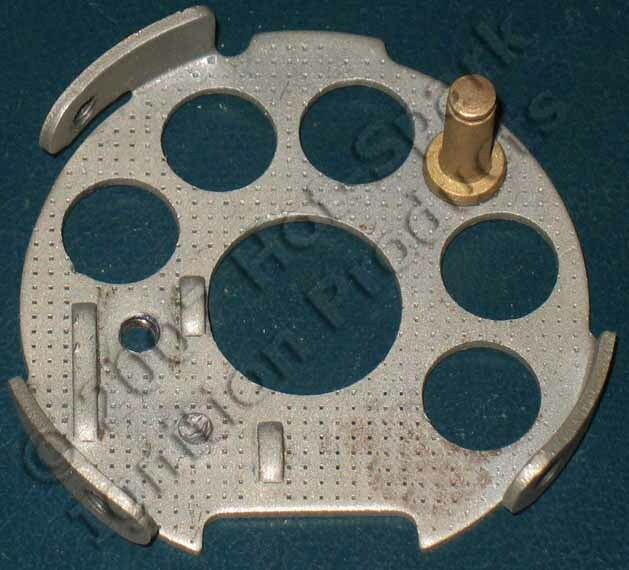 Replaces points and condenser in 6-cylinder Prestolite non-vacuum-advance distributors. 6-cylinder Prestolite non-vacuum-advance distributors. See application chart above. 12V negative ground only. The 6-cylinder magnet sleeve fits Prestolite distributor shaft cam lobes measuring 23.75mm from edge-to-edge. 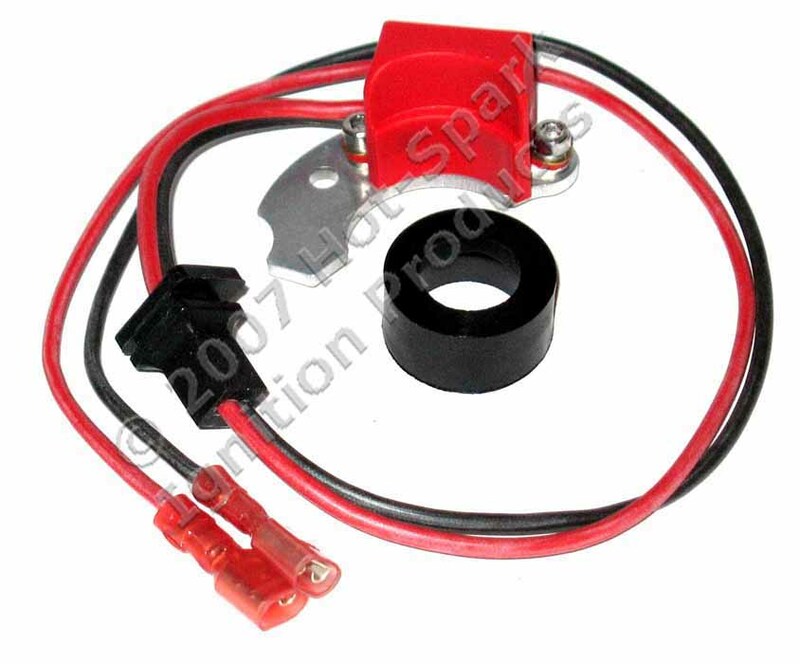 Item Name: Hot-Spark Electronic Ignition Conversion Kit for 6-cylinder Prestolite Distributors without vacuum advance. 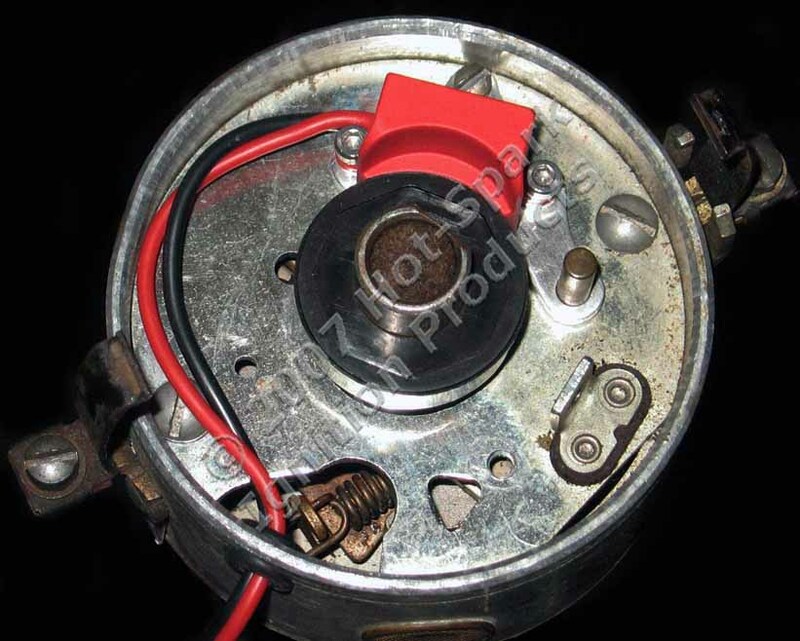 Our electronic ignition conversion kits are not "one-size-fits-all." Your engine could have any number of different distributors. We'll need the number of cylinders and the brand and part number of your distributor to determine which ignition kit would fit it or whether we have an ignition kit for it at all. Supplying just the make and model of vehicle or engine is usually not sufficient to determine which ignition kit will fit. Most distributor part numbers are either on a badge or stamped into the side of the distributor body, and are usually covered with dirt and grease. J1171 is not a distributor part number, but a US Coast Guard standard that many different distributors meet.